Recently, I'm driving along and everything starts going haywire, air conditioner shuts down, radio turns off, all guages go wild, computer read out says everything is wrong; low tire pressure, low on gas, ABS doesn't work, active handling gone, reduce engine power, service engine, you name it. The car drives fine, and the chevy guys can't figure out what's wrong so far. But, they tell me that it's going into "fail safe mode." do you feel like looking for your self..
do you have any ANY devices in the car that don't work properly..
any of the exterior lamps??? there are so many things on the cars that are hooked to and totally controlled by the CAN system..
were you activating anything when the system went haywire???? can you turn the key off and everything comes back to normal????? it could be a switch or a controlled item.. or the wiring between them..
has there been anything taken apart.. or changed?? jeeps have the problem when the wires that run through the rubber boots between the door and the door jams where the can wiring harness cracks where it gets bent.. if the wires come loose and rub through the insulation it could have been..
if you plan on doing anything your self... you will need a LOGIC probe.. or a computer safe circuit tester... you will also need a CAN enabled scan tool..
i have been trying to collect some information on how the bottom end consumer obd 2 and obd 1 scan tools compare to each other.. but have just started the research.. Automotive Recall and Technical Service Bulletin Titles for 2002 Chevrolet Corvette V8-5.7L VIN G.
06-06-02-026 DEC 06 Engine - Revised Exhaust Manifold Bolts/Torque Specs. You might try disconnecting the negative battery terminal and waiting at least 10 minutes. It is kind of a re-boot. It sounds like you have bigger problems than that but it is worth a try. Also make sure that you don't have a weak battery. I hope it is something simple like a bad ground. Good luck. 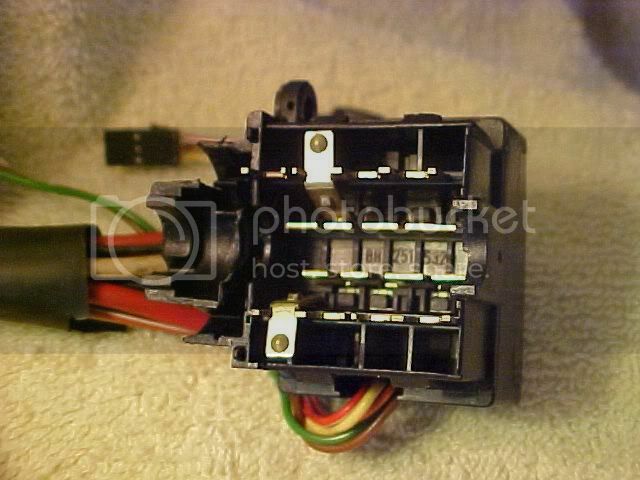 then stick the ignition key in ..
look at the inside of the late model gm ignition switches.. Thanks! Worked like a charm!! I did this back in Feb and ever since then (knock on wood) everything has been great! Thank a million for saving me $$ and time, you truly were a big help! Go right for the power distrubuton box and see if it cooked itself thats a known problem...Follow Waynes Info and print it out as you just dont find that info everyday. It sure would be nice if the original poster to this thread advised of the outcome. Kind of leaves us hanging. I had a 98 Mustang with a bad alternator do some crazy things. As the voltage dropped, all went haywire. I experienced the same thing yesterday on a 2001. All the gages went wild and the engine stalled. It restarted and worked okay for about 8 miles. I got home and it repeated the problem. It is now in the garage and will not restart. The battery is new and shows 12 plus volts. With the key on the gages go wild, messages come up to check everything. There is a clicking noise in the fuzz box area. The starter tries some times and just clicks other times. I tried cycling the key switch 50-100 times with the battery disconnected and nothing helped. Still searching for solution. clean the positive terminal block connections..
run the 4 part test as you try to start the engine... when its making noise.. you have a dirty connection someplace..
the clicking or buzzing comes from the voltage drop when the loads come on.. the voltage drops and the relays open because of the low voltage.. as the contacts open.. the voltage comes back and the relays close again.. adding to the load and causing the voltage to drop and the relays open... BUZZZ or CLICK CLICK CLICK CLICK..
i see places to clean at location 6, 8, 9, 13, 14, 22, 36, 36 is seen at wire 1 at the very top of the image. this is JUST a place to START... before you start throwing money at the car... if the connections are dirty.. you will have issues... you actually have to disconnect the battery.. then find the connections i posted... take them apart and use a small wooden handled stainless steel tooth brush from the paint or hard ware store.. they have nice stiff bristles.. both sides of the ring terminals have to be cleaned... the stud needs to be cleaned.. the bottom of the nut needs to be cleaned..
click on the image of the battery cables to enlarge it..
ahh.. they changed it slightly..
click on the battery cables link... it will open in a new window.. then right click to open the image in a new window.. that will bring it up to full size so you can see it.. The suggestions were good ones. I had already cleaned up several connection but I added a couple more that you suggested. 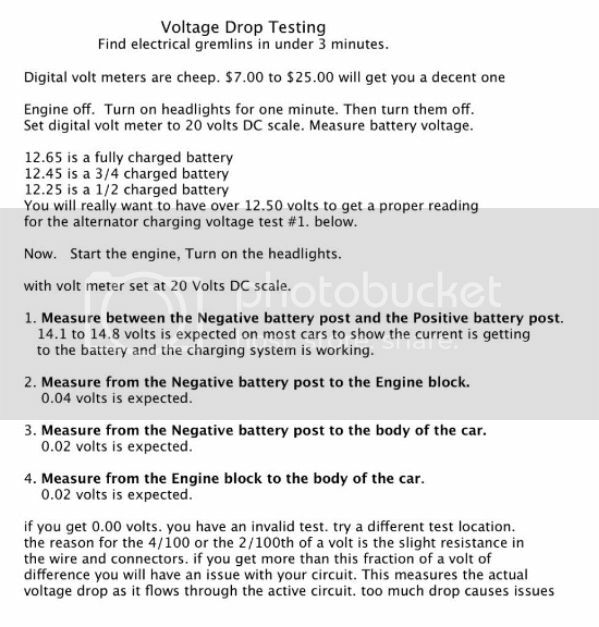 I could not run the voltage drop tests because I can not start the car. It will only bang the starter. I had the battery up to 12.8 volts. After I put the battery back in it measured 12.4 volts. While I tried to crank the engine it dropped to 11.9 volts, but did not ever turn over. Turning key switch to accessory position allows everything to work properly. Other times starter my bang in for short aggressive bursts. Other times starter will do noting beyond click. All gages go wild sweeping back and forth. Continues for a few seconds even after key is turned off and completely removed and driver door opened. Disconnecting alternator leads results in no change. 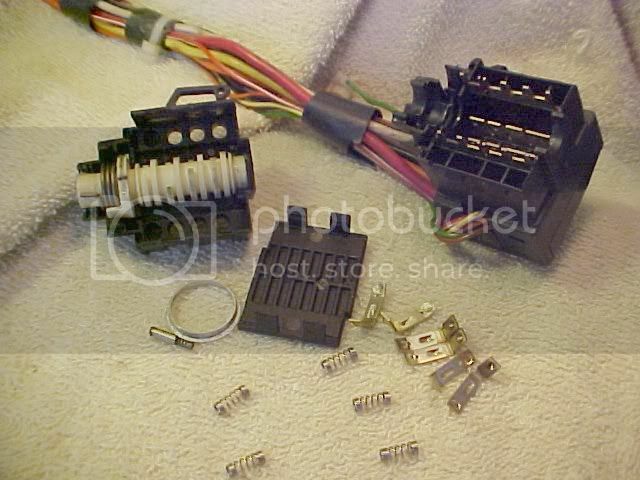 I am considering taking the ignition switch apart as a next step. you can run the positive battery to the alternator output terminal while attempting to start the engine..
or dirty ground connections or positive connections at the starter..
bad start or bad battery top the list.. removing the battery.. take it to a parts store for a charge.. then they can load test it..